Accurately grasping development trends of the real estate industry, Jiaming viewed Tishman Speyer as the benchmark of strategic transformation, following their lead in carrying out the strategic layout of our asset management business. Relying on the superior quality of projects and excellent capabilities in property development, design management, property leasing and operational management, the Jiaming asset management team takes very effort to help institutional investors in real estate get returns beyond their expectations. Currently, Jiaming has been cooperating with large financial institutions, international capital and other investors, and its developmental goal is to become the leader of China's real estate financial services and fund management. Adhering to our company philosophy “building classic cities and achieving lasting value”, the asset management business not only provides the construction of our high-end real estate projects with secured capital but also gives investors and partners satisfactory investment return. This creates positive interaction between real estate development and real estate finance. Working with Beijing International Trust, in 2010 Jiaming was the first company to establish real estate fund management in the form of a limited partnership in China, which was used in Tianjin Binhai International Forest Manor project. As the fund initiator and management company, Jiaming successfully completed the fund sourcing, fund management and the operation of the project. Concentrating on the investors’ benefits and fully ensuring expected returns to investors, Jiaming won unanimous acknowledgement and high praise within the industry. We have been actively exploring new financing models for urban development and construction. In 2011, we closely worked with the Beijing Development & Reform Commission as well as CDB Capital, developing its Jinhai Lake New Town project as a pilot project funded by the Beijing Small Town Development Fund. The project is an active exploration, which has formed a financing model combining equity investment with urbanization debt, providing an effective solution to the bottleneck caused by increasing pressure for the need of new urban construction funds. This is also an innovative form of financing and investment modeling. 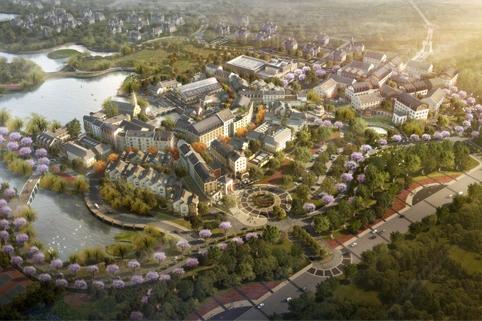 In 2012, Jinhai Lake Town project was named National Tourism Scenic Town and National Reformed Model Town. 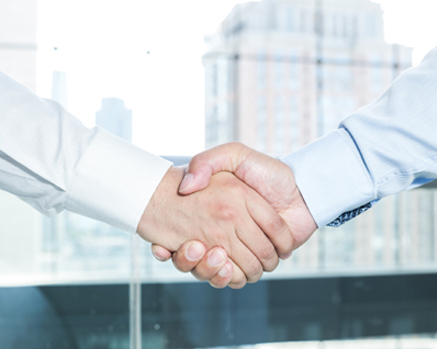 In 2013, on the basis of mutual trust and communications with China Life Insurance Investment, Jiaming received additional investment and capital for its commercial real estate portfolio. Both parties started building up a high-end commercial real estate platform for investment and operations. Collaborating with this financial leader, Jiaming fully stepped forward in its strategic implementation path in the area of financing of real estate. 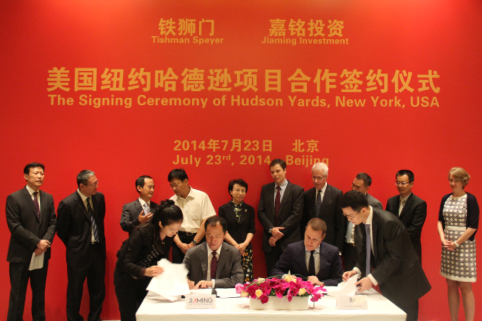 In 2014, Jiaming collaborated withTishman Speyer, one of the largest real estate fund management companies in the United States and both parties invested in overseas real estate projects based on the real estate fund jointly established by the Hudson Yards development project in New York. The fund participated in by both parties is going to be invested in landmark properties of Hudson Yards, which is the first step towards Jiaming’s overseas expansion. This is also a milestone event for Jiaming to implement its strategic development of combining real estate with finance. Such collaboration would facilitate Jiaming in its further advancement in expanding international strategic views and enhancing its level of asset management.